Easy Notecards is a new online flashcard service that I recently learned about through Vicki Davis's blog. Easy Notecards allows you to create flashcards that are text-based and create flashcards that utilize images. Like many other online flashcard services, Easy Notecards provides a gallery of public sets of flashcards. Some of the flashcard sets in the public gallery are connected to textbooks. 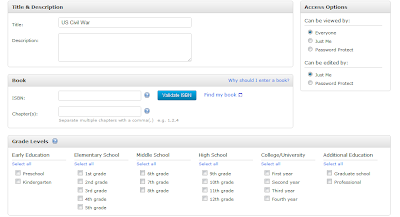 This is accomplished when users creating flashcards opt to enter information about the textbook from which they are working to create flashcards. For example, if I was creating a set of flashcards about the American Civil War and using the textbook The Americans, I could enter the book title and chapter that matches the flashcards I am creating. 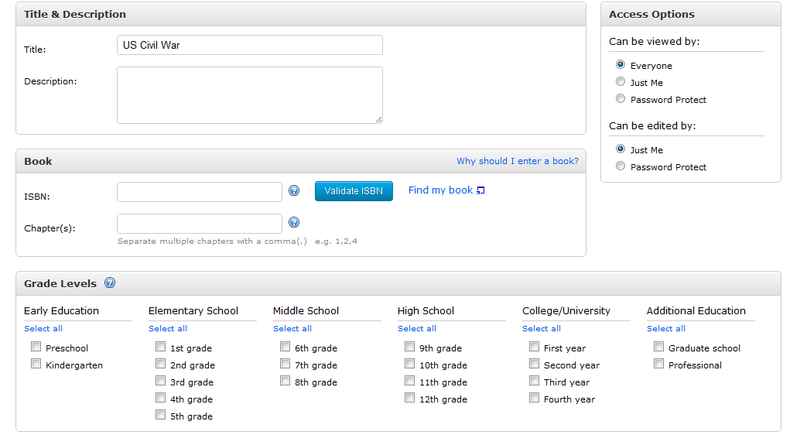 Then when others search the gallery of flashcards they could search by topic or search by textbook title. Easy Notecards is quite new so they selection of public flashcard sets and textbooks is somewhat limited right now. That said, I think the option to associate textbooks with flashcard sets could be a great feature as more content is added to Easy Notecards.